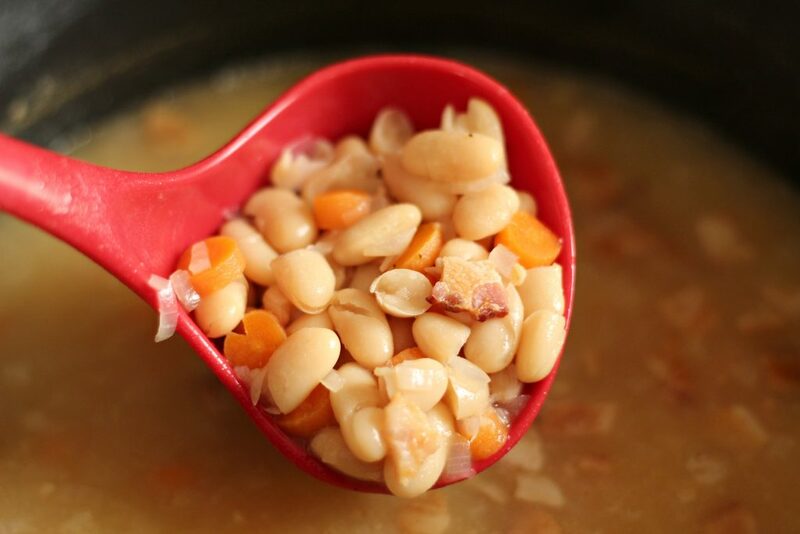 Cool weather calls for hearty comfort foods like my Gluten Free Bean with Bacon Soup. 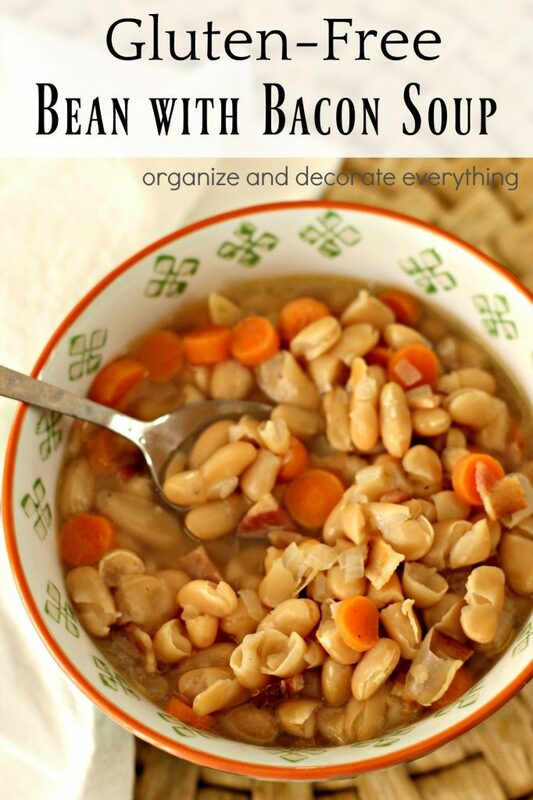 Thank you Bush Brothers for sponsoring this post and letting me share my favorite soup recipe. I grew up in the mid-west and can I just say it’s hard to beat the Fall weather there. We lived near Brown County State Park which is well known for it’s beautiful Fall colors, covered bridges, quaint shops, and outdoor recreation. After spending the day in the crisp Autumn air we would always come home to a big pot of soup, usually Bean with Bacon soup. 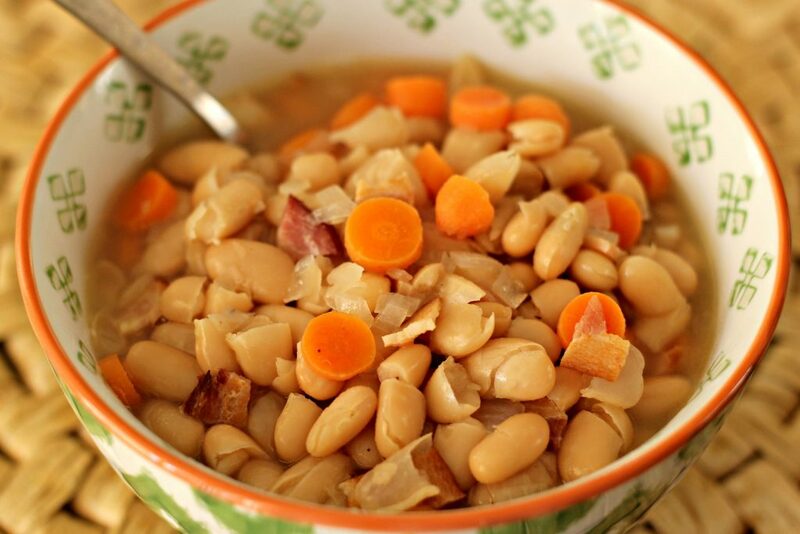 Bush’s Beans are the perfect base for a hearty and healthy meal full of protein and fiber. Since I have Celiacs disease and I have a son who is gluten intolerant I have made some of my favorite recipes gluten free so we can enjoy them as much as I did in my childhood. It took me a few years to realize I didn’t have to cook bacon on top of the stove and suffer bacon grease splatters all over my clothes and body. Have you cooked bacon in the oven? It’s so easy and convenient. Preheat oven to 400 degrees. Place bacon flat on a foil lined cookie sheet on the center rack. Bake for 15-20 minutes depending on how crispy you like your bacon. I like the bacon very crispy for the soup. 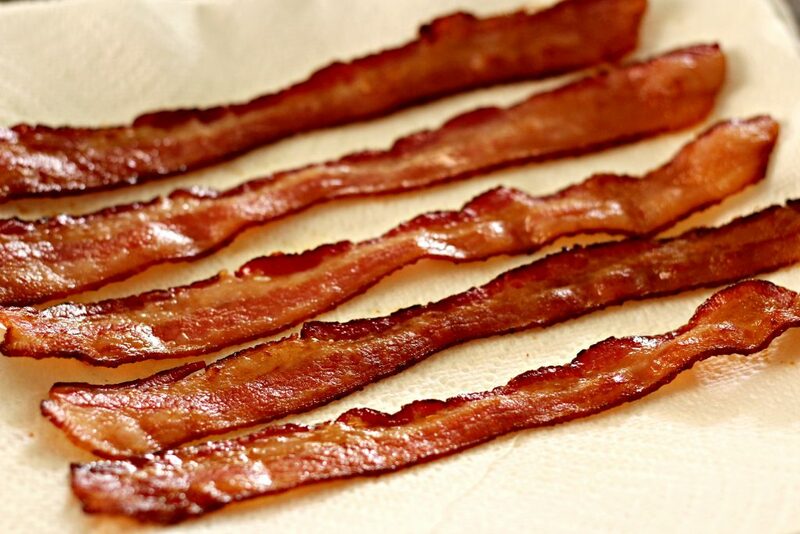 Remove bacon from foil and place on paper towels to soak up the excess grease. Can I just say how delicious my house smells right now. Save the bacon grease (about 3 tablespoons) and place in large stock pot. Add onion and cook for 5 minutes stirring occasionally, until soft and translucent. 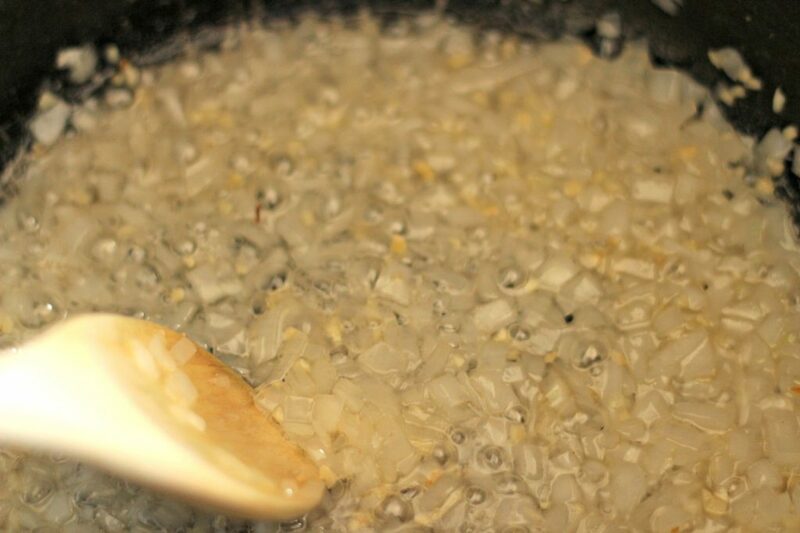 Add garlic and cook for 1-2 more minutes, stirring occasionally. Add chicken stock and carrots. 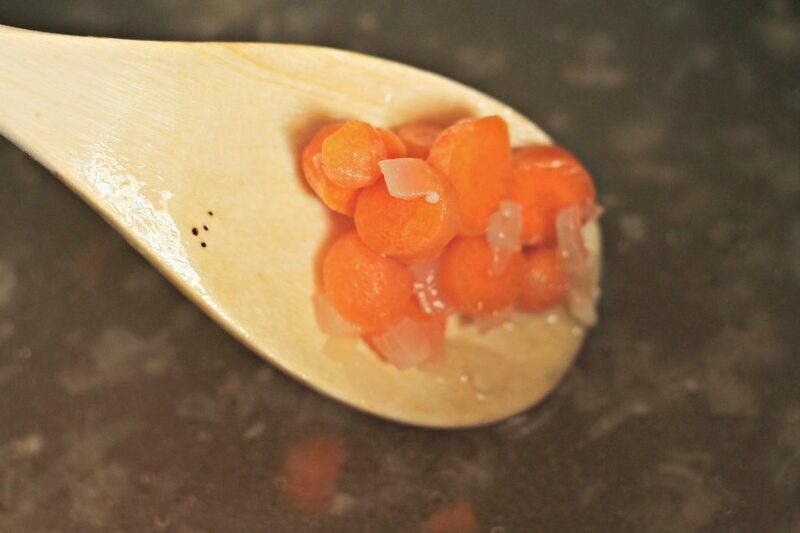 Cook carrots on a simmer for about 10-15 minutes to soften them a bit. Add Bush’s beans, bay leaf, and bacon to pot. Stir to combine. Partially cover the pot and continue cooking the soup at a simmer (medium-low heat) for about 15 minutes to let the flavors meld. Add salt and pepper to taste. I love pepper so I add a few generous pinches while it’s simmering. I also add a little more salt if the chicken stock isn’t salty enough. Enjoy your delicious heart warming soup. You can cut the vegetables and prepare and cut the bacon in the morning so all you have to do at dinner time is combine all of the ingredients and cook for a quick and delicious meal in less than 30 minutes. I keep Bush’s beans as a pantry staple in my home, you can’t beat the price and they’re great for last minute meals. The next time you’re shopping at Walmart don’t forget to stock up on Bush’s Beans. There are so many different varieties that I usually have a minimum of 7 different kinds in my pantry. Some of my favorite cool weather beans are Bush’s Chili Beans because they are made with a special blend of chilies, spices, garlic and onions saving you even more time while preparing your meals. Try them in this recipe to give it a little extra spice. You can also check out the hashtags #BushsBeansFallFlavors and #MyBestWithBushBeans for even more delicious recipes. 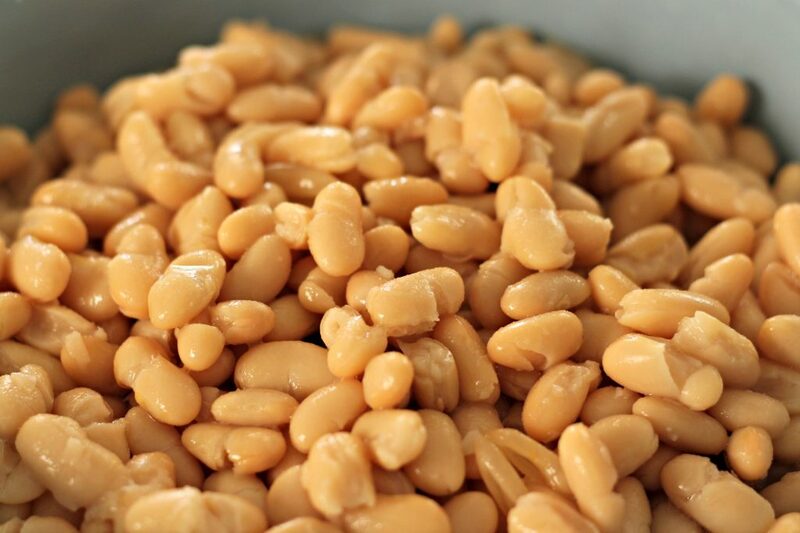 What will you make with Bush’s Beans? 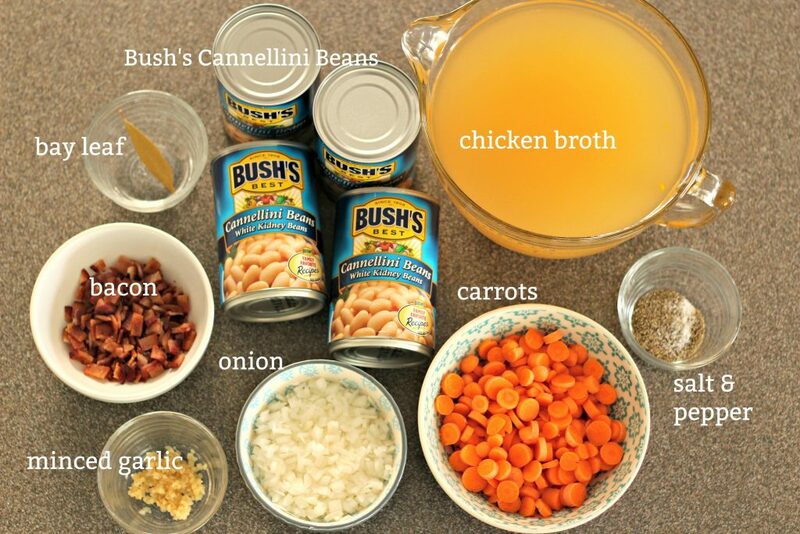 This looks amazing, and the perfect meal for cold fall evenings! 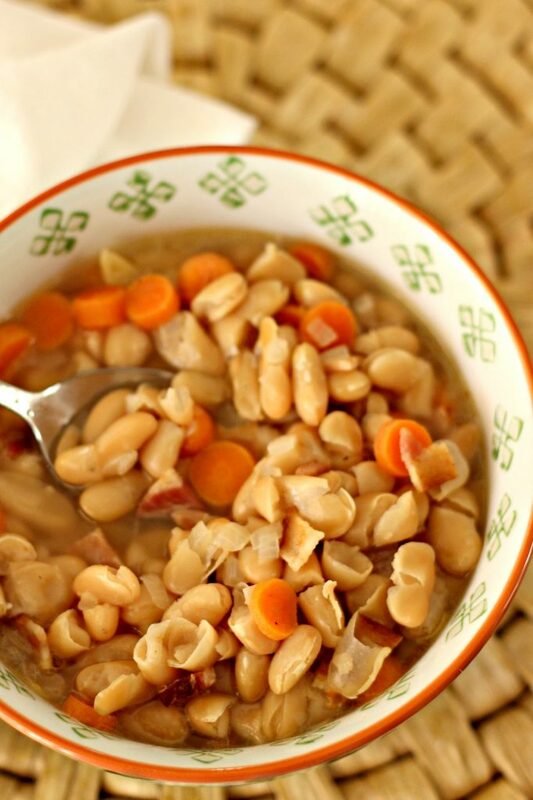 This soup sounds SO tasty, and perfect for those cooler Fall mornings we are starting to get! Ok, I’m usually not a big bean person, but this recipe sounds great! Love this! I am always looking for gluten free recipes for my stepdad-this looks perfect! I love beans!! AND this looks easy enough for me to make..Haha!! This looks so good. I will have to try and make it.